Discussion in 'Dahua' started by catcamstar, Jun 27, 2018. I've been looking forward for my shipment containing plenty of stuff (thanks @EMPIRETECANDY for the great offer & price! ), containing lots of IPC, NVR and the aforementioned intercom kit. In this post, I'm going to try to describe, as objective possible, the pros and cons from the experience so far. I will include the instructions I have used for my setup, as it may help other users to find their way throughout their installation. Comments & suggestions, do not hesitate to reach out! Many of you have already ordered stuff from @EMPIRETECANDY , it was a brand new experience for me, but was worth the shot! All materials arrived in a preciously packaged and secured shipment. Nothing to complain on! Every cm³ was used, not a lot of waste. As I couldn't wait to assemble everything, I didn't grab pictures. What I can say: even the aluminium fronts of the VTO2000A doorbell have a plastic protective cover, all camera domes have a plastic too. The VTO really looks professional! The VTH1550CH screen is white with touch screen (also with good protective cover), it does also exist in aluminium (grey) for those who want. Finally, to wallmount these VTO's on the concrete walls, I did add two VTOB108 "enclosures" for the final touch. If you do not mount the VTNS switch into your electricity outlet, do not forget to add the power supply!!! There are different configuration manuals, depending on the model/version of the VTH. I got a version 3.1 which is different than the version 4.0. In short: you connect the first VTO by UTP to the VTNS switch, it gets the 192.168.1.110 default IP address. UTP connect the VTH to the VTNS switch, it gets 192.168.1.109 address. I opted to configure everything through the VTH, but you can also use Dahua toolbox (with VDPConfig) to configure it from your PC. But read the warning message below in Chapter 5: configuration! First impression: nice VTH screen, good resolution, VTO: LED light behind the name is tag is ... BRIGHT!!! As my second VTO would conflict with the first VTO, I tried my configuration first with 1 VTO and 1 VTH, in the OOTB subnet. So first thing to do, is to configure the VTO on the VTH. Press "Project Settings" on the VTH, and you are prompted for a password. Apparently, depending on which version, you have to choose between 012345, 123456, 002236 or 888888. In my case, it was the latter. Verify the network settings (under <>NET), and press "search devices". It will scan the subnet and find the "defaulted" VTO. Press "ADD" and it receives a green icon. That was easy! Press the ring button, and you'll get immediate video screen on the VTH with the option to hang up, or pick up. Sound & video are OK for a doorbell. Then the more complicated bit: adding the second VTO. So you need to either shutdown the first VTO, or change that one to another IP (but then the link with the existing VTO breaks). I went for the first path, turned off the first VTO, attached the second one, and used the Webservices GUI login (admin/admin) to get to the configuration screen. In there, I changed the IP to 192.168.1.111. With these settings, all works fine, each ringer can ring the VTH, and you can pickup or dismiss. With the Dahua Toolbox (VDPConfig), you can always verify the network settings, and IP configuration. What I did try, is change the default passwords. DO NOT TRY THIS!!! For an unknown reason, my copy-pasted password from my vault did not get pushed through correctly, and I had to factory reset the VTO. Unlike the Dahua NVR or IPC, there is NO PASSWORD RESET CAPABILITY!!! For the VTO, you have to press 5 consecutive times the "intrusion detection switch" (keep note that the alarm will go on and off until you hear a distinct *beep*, which means your VTO is factory reset and the admin/admin combo works again). As we are in 2018, and an internet doorbell wouldn't be an internet doorbell, next step: mobile device. I tried both iOS and Android. It seemed that "doorbell" push notifications should work on the lite versions too, but as of beginning this week, the "plus" versions are for free, so no doubt to upgrade immediately to the plus version. Adding the VTO devices by IP gives you immediately "live view", with capability to electronically open the lock, and open a video communication towards the VTO. So far so good! Then you have to go to the Alarm Manager, and turn on "notifications" for each of the VTOs. Ringing the VTO gives a push notification, opening it gives an overlay screen with GREEN and RED button (pick-up & dismiss). But then, it ... stops... working ... Clicking the green button gives a turning wheel, with in the end an error message with something like "talk has ended" (which disappears very quickly). I had choosen the VTH1550CH because it is also able to connect additional IPC's to the screen. Even an NVR as I found somewhere on the forum here. Testing this is easy: go to configuration, and press: "Add IPC". Choose Type (IPC, NVR, ... ) at right hand, entering IP address, port numbers, user and password. Easy peasy. But also here, after 6 characters, the keyboard seems to get stuck. As my NVR password is 12 characters long... No success here. In some thread, I've seen people having issues with VTO and no sound when passwords are longer than 6 characters. Maybe this thing is linked to the same configuration bug. - i/gDMSS bugs bugs bugs. MarcoLB, int, Mike and 2 others like this. I discovered a new firmware (General_VTH151X_EngPolFinHgrBulSvnCzechSlovak_P_V4.000.1026000.0.R.20180209) for the VTH which has in its release notes: FIXED 32bit password for external IPC/NVR. Will try that later and post the progress here. As there is a "linked" VTO upgrade too, I'll hit that in the same run. Hopefully the i/gDMSS bugs are fixed with these too. Under the motto: if it ain't broken, don't try to fix it, I investigated the possibilities (and pitfalls) of upgrading the not-so-standard "IPC" devices like VTH & VTO. As both my VTO & VTH are on version 3.100.0000.0.R.20170401, I looked up available firmwares. This looks like an "extensive" package, including 3 other ".bin" files. Question 1: how does one succeed to flash the .zip contents to the VTH device? For the VTO, the same story applies, I found a "two-staged" installation with 2 bin files (STEP 1 - General_VTOXXX_Eng_P_16M_V3.120.0000.0.R.20170803.bin and STEP 2 - General_VTOXXX-data_Eng_P_16M_PART_V3.120.0000000.1.T.20180309.bin), however there is an extensive packaging with almost the same contents (no gui-x.cramfs.img but a web-x.cramfs.img instead, which makes sense as VTO does have Webservice and no GUI). Question 2: how does one succeed to flash the .zip contents to the VTO device? I read a lot about bricked VTO's and unbricking by TFTP, but I'm more interesting in flashing the VTH (to have more than 2bit password entry to connect to my NVR as "IPC") than breaking the VTO which does what it performs (except the GDMSS call pickup when ringing). Nice posts, thanks for taking the time to share! EMPIRETECANDY, catcamstar and AlbertoIt like this. Hi Albertolt, if you speak german, google dropped me into a darkish forum (Dahua VTO2000A (Baugleich mit Goliath) Sprache abstellen / Custom Fimware), with my german language skills, I deducted that they were able to drop other messages into the system. Do not try if you are not sure! Halo! thanks but unluckyly I'm not german but italian...where did you find it? Today, I applied the latest iDMSS Plus on my iOS devices, and hooray, the push notification (that were working) are coming through and I am able to "pick-up" the call with the VTO. I'm still investigating how to apply the firmware on the VTH to fix the password length on adding an additional IPC. Hello, I'm Francesco. I'm in the same situation, someone knows how to fix the password lenght issue? . 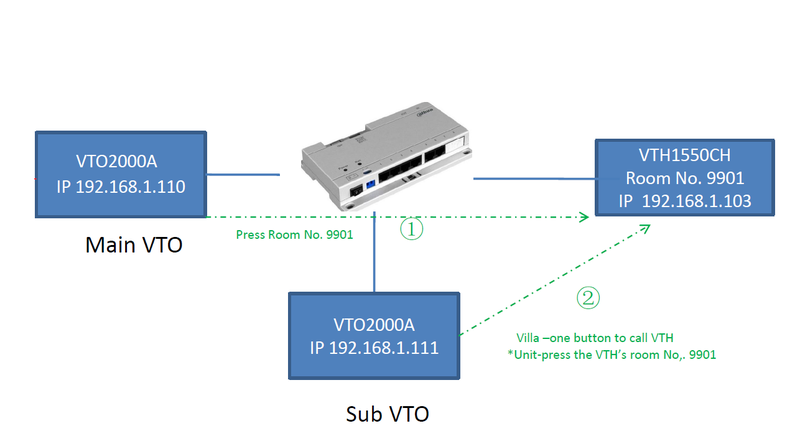 Yesterday I tried to connect a IPC HFW1320S to my VTO and VTH but only 6 characters are allowed, but the IPC requires at minimum 8 characters..
Hi Francesco, have a look here. Hi Redfive, I saw your post, but it is unclear to me whether you fixed the password issue by upgrading the VTH (to 3.x) or by adding a "dummy" user on the IPC/NVR with a "simple" password? In the latter case: all my IPC's and NVR refuse a "too simple" password... So I'm wondering which firmware your IPC's are carrying. @catcamstar Latter case, the vto seems only accepting 8 chars password. In the other thread, you mentionned you were able to flash the VTH firmware, together with "firmware extensions". Are those the additional .bin files within the firmware package in the VTH "base" firmware zip file? I saw on that Mexican website you used RECUpdate, and not the Dahua provided VDPConfig tool to flash them. The latest VTH firmware apparently fixed this password limitation, so that would help everybody out. Many Thanks @redfive. First I solved the problem with your solution, then I made the firmware upgrade, so with the firmw v3.200 for the VTH1510 now the device accepts more than 8 characters. Do you know if there is the v3.200 also for the VTO2000A? Hello, I’m also interested in this setup. Do you need the VTNS1060A "special" PoE switch? Or will any POE switch Work? Can this system be used on a local LAN that doesn’t connect to the internet? I’m rural and don’t have reliable internet service. Did you have to contact @EMPIRETECANDY to see if he carries these items? I don’t see him listing these items on his Ali express page? - yes do you need the VTNS1060A for the VTO2000A. Some folks have tried with "standard" POE systems, then it won't work! Or you could opt to use the 2-wire system? 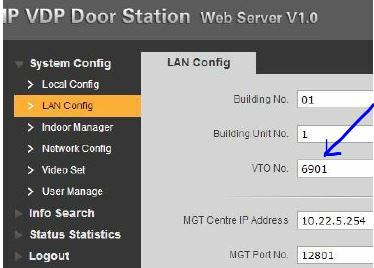 - my current doorbell setup (VTO2000A + VTNS1060 + VTH1550CH) are isolated in a VLAN without internet access (exactly like your "local LAN without internet). Only when I'm not home, I open up port 2195 to receive push notifications on my cell phone to have an idea who is ringing. I do not want push notifications when at home, because the VTH screen suffice. - @EMPIRETECANDY did provide all these components to me, for a nice price and even more importantly: tax free shipping! Thanks again Andy! If you need more information: shoot!